As a remote area, Tibet dose not have very favorable accommodation conditions, but the lodging condition in Tibet has been greatly improved due to rapidly developing tourism in Tibet. 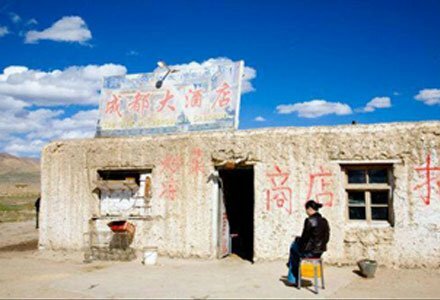 Generally speaking, the overall level of accommodation in Tibet is lower than that in other cities of China. 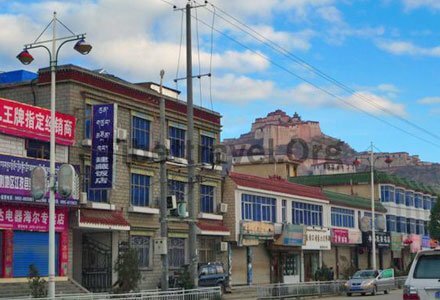 You can find star-rated hotels in big cities of Tibet such as Lhasa, Shigatse, Tsedang, and Nyingchi, but hotels in small cities and remote areas are very basic, usually having a public bathroom with squat toilet. 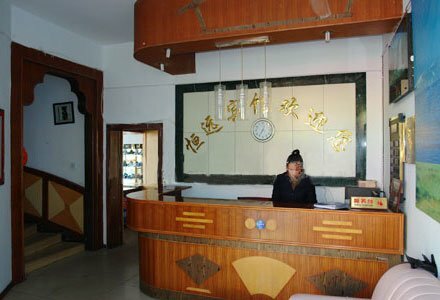 Specifically, in Lhasa, lodging ranges from cheap guest houses to luxury five star hotels, while in Shigatse, Gyangtse, Tsedang and Nyingchi, the highest standard is three stars; in Tingri, Zhangmu and Nagchu, the highest are two stars; and in other smaller or remote areas, guest houses might be your only choice unless you have brought tents with you. Accommodation Tips in Tibet: From all the feedback we have received, the most frequently mentioned issue is the hotel, such as rats, damp sheet, and bad air conditioning or the poor hotel services. The inconvenient truth about Tibet tour is that the hotel facility and service are inferior to that of big cities in other big cities of China and certainly no compare to western standard. We feel sorry about the inconvenience and spare no efforts to improve the situation. However, we promise to offer the most cost-effective hotels or guesthouses in every corners of Tibet. If our clients have unbearable issues about hotels or services, we will help you change the room or solve the problems. Travelling in the sacred land of Tibet, we do hope our clients pay more attention to the journey of spirituality. Many thanks. Check for more information about Tibet accommodation condition. 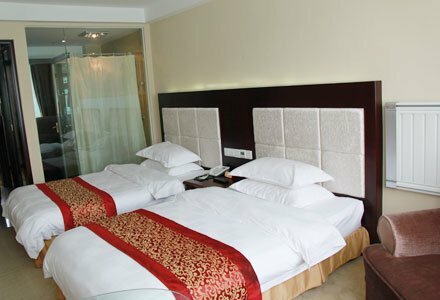 Hotels in Lhasa provide tourists a wide range of choice, varing from luxury 5-star hotels and comfortable 4-star hotels to economic 2 or 3-star hotels and cheap guesthouses or hostels. 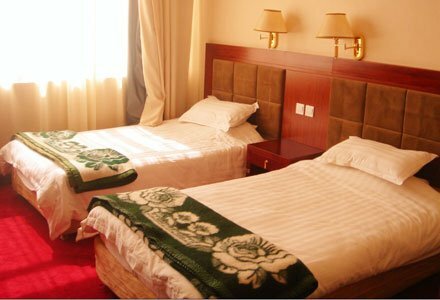 There are four BEST value hotels in Lhasa. You can get the real resonable and lower price once you book it! Contact us if you need help. 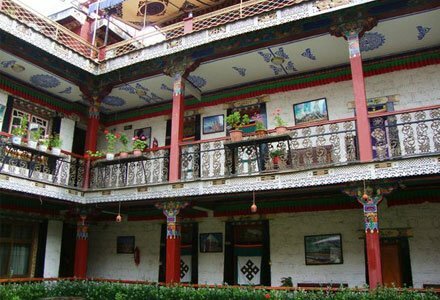 Yak Hotel is one of the comfortable 4 star hotels in Lhasa and has its good location in the center of Lassa and close to the Jokhang, Ramoche monastery. 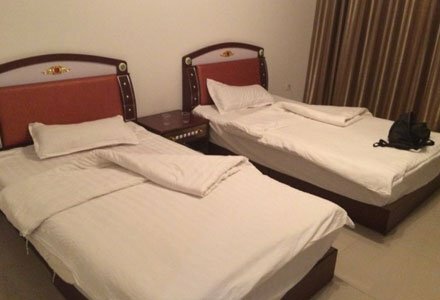 Lhasa Gang Gyan Hotel is a 4 star hotel in Lhasa or one of the comfortable hotels in Lhasa, with a superior location in Lhasa center. It's near the Ramoche Temple, the busy Barkhor Street and places for tourists to go sightseeing and go shopping. St. Regis Lhasa Resort is an international luxury hotel in Lhasa, providing high-quality services and modern luxury amenities. As a relatively developed area in Tibet, the best hotels in Tsedang is comfortable 4-star hotels. Tourists also have another options among economic 2 or 3-star hotels, cheap guesthouses or hostels, and Tibetan style hotels. 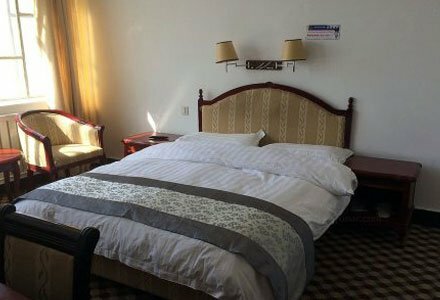 Yulong Holiday Hotel owns a good location in the middle of the tourist resort Yulong and near the Gonggar airport. It is only 15km to Samye Monastery and 5 km to Yongbulakang Palace. Tsedang Hotel is located in downtown Tsedang and surrounded by ancient temples and monasteries. Yarlung River Hotel is designed according to the 5 star hotel standard and 90 kilometers apart from the Lhasa Gonggar Airport. 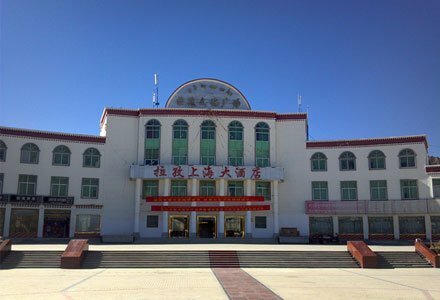 Better hotels in Shigatse area are mainly distributed in Shigatse city, ranging from 4-star hotels to guesthouses or hostels. Besides, along the way to Everest there are many simple hotels, guest houses and tent hostels for your stopover. With a good location in the center of town and near the Thashilunpo Monastery as well as the bus stations. It is convenient go shopping and enjoying the view. It is a typical Tibetan style hotel. 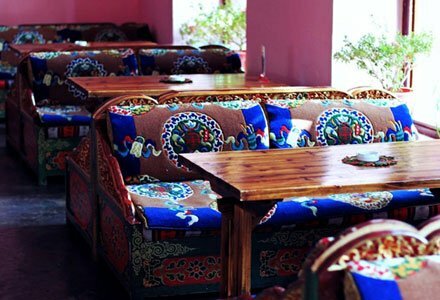 Shigatse Yak Hotel is a budget hotel in Shigatse for stay a night on the way to Mt. Everest. This hotel is convenient for shopping for numerous shops nearby. Shigatse Manasarovar Hotel is a Tibetan style hotel in Shigatse, providing deluxe suites, standard rooms and economy rooms, all of which are well furnished with modern amenities. Hotels in Nyingtri also varies widely from 4-star hotels to guesthouses. Most hotels are located in Bayi Town and offer modern facilities and perfect services. Nyingchi Shangbala Hotel is a 4-star hotel with good location and favorable facilities. 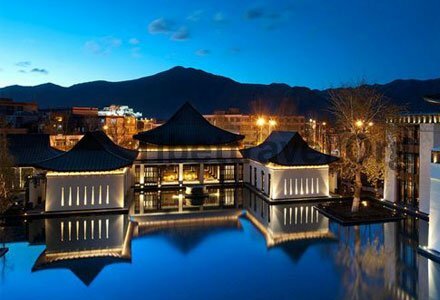 As one of the largest hotels in the Nyingchi area, the Nyingchi Fujian Hotel offers an oasis of luxury for travelers exploring Tibet's rugged mountains and highland plateaus. Chongqing Cygnet Hotel in Nyingchi is conveniently located in the Bayi commercial area and close to the Niyang River. Hotels in Nagri are quite limited for foreign tourists for many hotels are off-limits to foreigner. In addition, the hotel facilities are just low-end. Sometimes, only hostels and 2-star hotels in Nagri are available, or tourists have to take tents with them. Heng Yuan guesthouse in Shiquanhe of Ngari Prefecture provides double rooms with spacious bathrooms but there is a problem of make water from the showerheads. 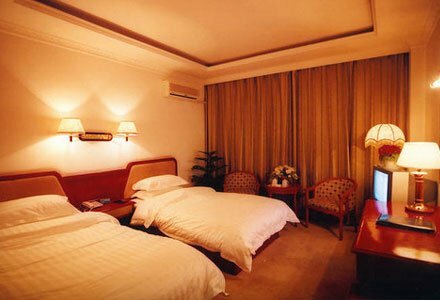 Shi Quan He hotel (or Shanxi Binguan) as the only two-star hotel there, provides western-style rooms which are equipped with small bathrooms and 24-hour hot water. Rooms, especially the triples, can not be booked easily. In Ngari Telecom hotel, the rooms are good enough for one night's stay even though there is no running water. Hotels in Nagchu is also very limited. Only simple hotels are available in Nagchu and Damxung. If toursits travel to more remote area, only guest houses or tents are on the short list of choice. Namtso Tent House, on the bank of Namtso Lake. 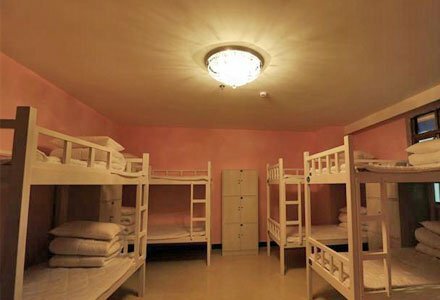 It offers 3 or 4 beds in each room without a washroom. Nagchu hotel is the best one in Nagchu county. This hotel is popular with the local and foreign groups with squat toilets, grubby carpets and hot water shower, so it can not be booked easily. Nagchu Post Hotel next to China post office often has discounts. The hotel provides hot-water boiler, lights, shower head and entire electrical supply. There's a shared terrible bathroom in the cheaper and darker room. Although no deluxe hotels in Chamdo are available, common hotels and hostels in Chamdo are good enough for basic necessity. 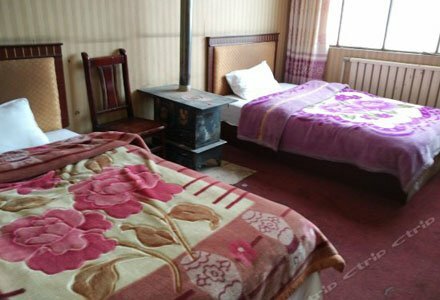 As the first two-star hotel in Chamdo, Kangsheng Guesthouse provides 82 rooms, meeting room, dining hall, bar, teahouse, foot bath room etc. Chamdo Hotel is a three-star hotel located in the main city of eastern Tibet. The hotel provides guestrooms with separate toilet. Joining in a small group tour is the very BEST way for solo travelers or traveling Tibet on a budget! As the Pioneer of Tibet Tourism for global tourists since 1984, TIBET VISTA has been the FIRST TOUR OPERATOR of running join-in group tour business in local and with ability of organizing over 5000 visitors a year. For Tibet Vista’s special contribution to Tibet Tourism especially to Mt. Everest Tour, we were the ONLY company awarded by Tibet Tourism Bureau Shigatse “THE EXCELLENT ORGANIZER OF MT. EVEREST TOUR ”in 2015.